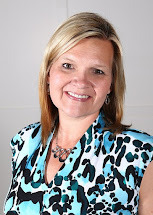 Kari Dye, Utah Realtor: Agent of the Month! July was an awesome month to buy or sell a house! They gave me the honor of top agent in the whole company and over $2 million in real estate sold...in 1 month!! Thank you to my Broker, Bruce Tucker who is one of the best problem-solvers I have ever met and to my husband who supports me while I work a job that I LOVE!